Tosh has been a climber since as long as he can remember (4 years old). He started his competitive climbing career at the age of 13, and immediately realized his goal of making the Canadian National Team. To pursue and support his climbing career, he and his family have moved extensively around western Canada before settling on Squamish, BC (climber’s heaven). Since his first ever climb, Tosh has competed on 3 different continents, and achieved 87th at Paris World Championships in sport climbing, and 48th at the Guangzhou World Youth Championships. 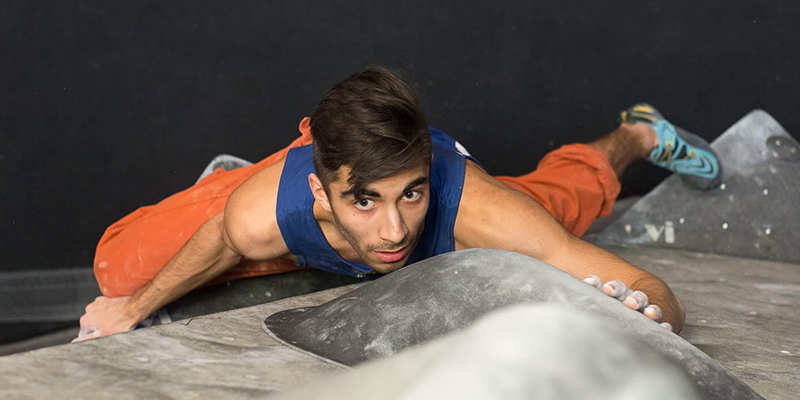 Tosh is currently ranked 5th in BC in Bouldering in the Open Male category, and trains with the Climb Base5 Open Performance Team in Coquitlam. One Response to "2017 FEAT Kids Speaker – Tosh Sherkat"
Love the concept of 7 minute each. Amazing and inspirational speakers!